While my trip back to Beantown was harrowing, little treasures like 1) finding the Le Metier de Beaute counter (I never knew we had one?!) 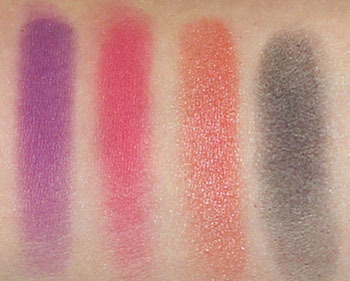 and 2) finding out said counter still had the Spring 2009 Violaceous Splendor Eye Kaleidoscope, made it so worth the day-after fatigue. 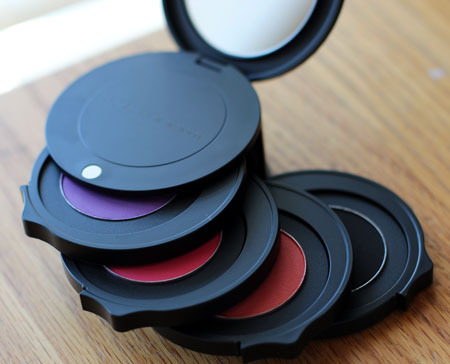 Le Metier de Beaute Violaceous Splendor ($95) is at first glance, an intimidating little plaything. It looks more like colors picked out from a 4-year-old's crayola box than what women would like to daintily apply to the eyes. But I'm used to extraordinary color combinations from the brand, and I knew it would turn out great as long as I let it work its magic. 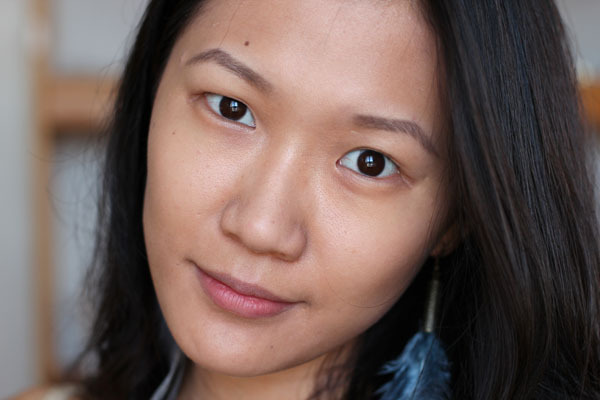 Note: For those who aren't familiar with the Le Metier de Beaute couches de couleurs application, might I suggest first taking a look at my Penelope tutorial? 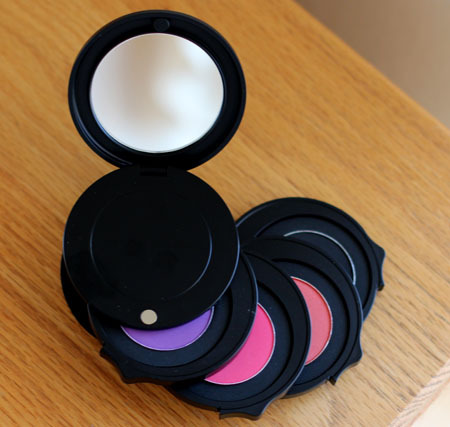 The great thing about Violaceous Splendor is the second shade can double up as a natural flush kinda blush. Violaceous Splendor is by no means a kaleidoscope you can wear to work. But on days where you need an extra boost of color in your life, it's dazzling. For those who have been hesitant about it because of the purple!pink!orange! As you can see, the black (who knew?) 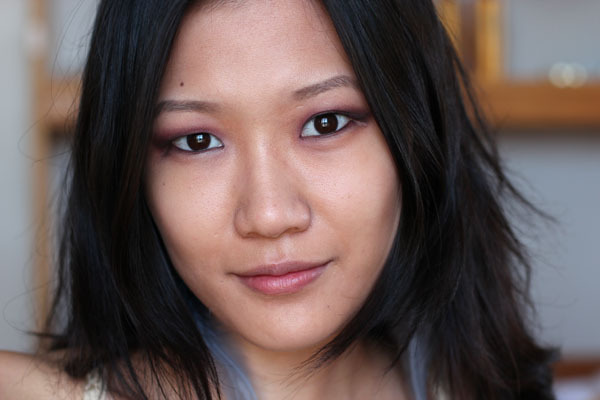 tames it down a few notches and transforms it into an interesting smokey eye. In case you didn't already know, Le Metier de Beaute recently launched a facebook app that tracks down kaleidoscopes of yore. If you're interested, Violaceous Splendor is still available! That looks awesome on you! I'm so happy you posted these pics, at first these colors so intimidated me, but you really work it! Ummmm, I'm from Spain and not sure if Le Metier de Beaute can be find here... I'll have to do some research now!!!! Thank u! 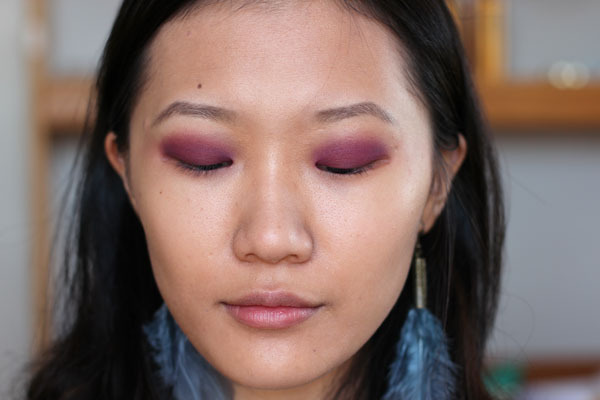 I never would have thought to combine those four colors to get a twist on the smokey eye. Kudos for LMDB for always surprising me! ahhh i love this! i am so obsessed with kaleidoscopes lately...and i still dont have one. i want them all! I love your clean, beautiful photos! And those earrings are beautiful - where are they from? WOW! I love how that turned out on your eyes. I wasn't expecting to like these that much. You look stunning! @Material Girl unfortunately I don't think you have it there, but some US retailers ship internationally! @Kayla it is :( but if you're gonna splurge on makeup I would but LMdB on the very top of that list! @kellyyes hehehe time for the first one? @Larie thank you! Um, I got it at a very pink (forgot the name) store in Miami. @Laci mission accomplished? :D you're gonna love VS! Hee hee. I can't wait to get it. :D I love bright colors. This is so so so so so gorgeous! I want this palette. I've wanted Violaceous Splendor forever! I even had a friend in the UK try to locate it for me, with no luck. Thank you so much for posting the Facebook app! What a beautiful quad. I wish I had a counter nearby so I could try this. @Laci Haha I would love to just wear only the top three of VS too. Great eye-catching shades. Silk Road's amazing for fall! @Diary of a beauty junkie still some available! @gorgeois good luck! At least you know there are still some left if you really want them. That looks incredible! I wish I'd gotten my hands on that kaleidoscope! Great job and pics as always! These colors look beautiful. Thanks for showing how to layer and what the colors do together! It's a lovely look for you! Too bad that kalaidoscope is probably impossible to pick up now. And too bad that it took me three days to see it came out in 2009! It's probably really hard to find now. BTW, your haircut is great. What is your hair routine? And how'd you decide on that cut? You've got a lot of movement to your hair, and I envy that, because I have the kind of hair that doesn't. @Shannon my pleasure. Thank you! @The Kindly One it's still available! At three counters (or more!) If you click on the link at the end of the post, you'll get to the lmdb facebook app that shows where you can purchase it. I LOVE this - I wish it was permanent so I could buy it when I'm eventually in the States! 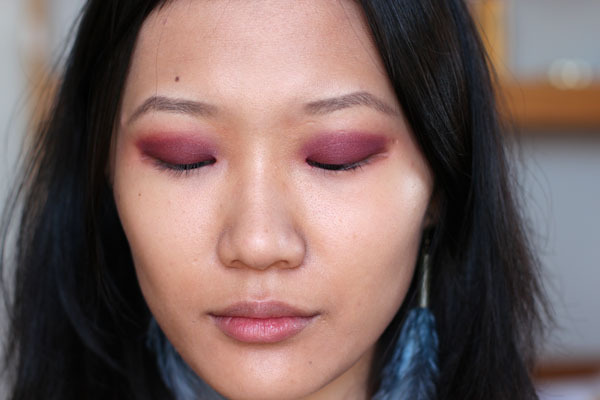 Xiao, would you know of any eyeshadows of any brand that could re-create this look without the palette? 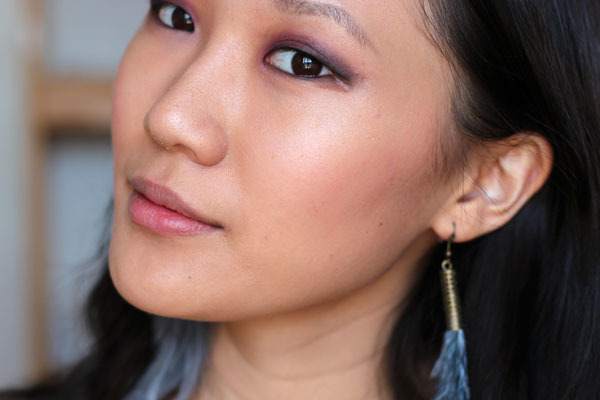 This is so beautiful and I'd love to wear that beautiful smoky purple look!